My big goal for this year is to really work hard on developing a strong portfolio. When the opportunity to sign up for the highly regarded Folio Focus class presented itself to me, I naturally decided to jump in. 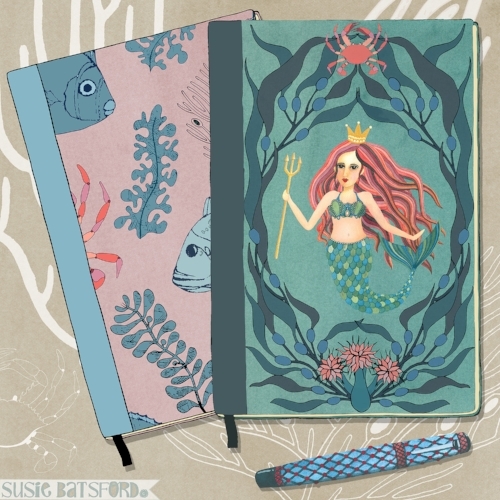 The first assignment was to design a notebook cover around the theme 'Nautical'. Honestly, this is such a great theme, once you start thinking about it, there is so much potential and I really could just keep on going. But, time is not on my side right now as I have other work to be getting on with too. So here is my mermaid and her fishy friends!